Total has launched Total Folia, a bio-sourced, water-based metalworking fluid free of mineral oils and emulsifiers. 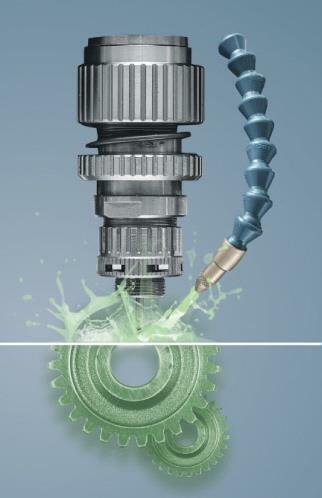 Offering high cooling and lubricating properties for machining operations, Total Folia is said to deliver gains in productivity and tool life, while reducing operating costs and the number of processing steps. Additionally, Total Folia addresses three important focus areas: health, safety and the environment. For instance, the product is odour-free, is kinder to the skin upon direct contact, and contains fewer hazardous components. Furthermore, Total Folia’s long fluid lifetime is safer for the environment.